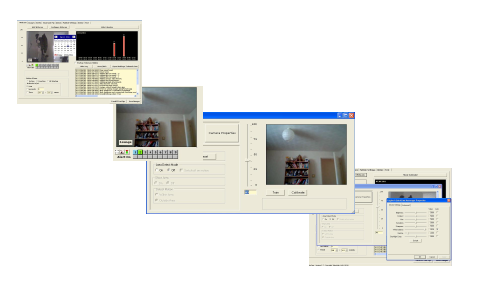 Monitor up to 9 webcams simultaneously. Connect USB webcams or IP webcams. Detection motion within or outside a specified area . Publish movement images to your website. Publish webcam images at regular intervals. Receive notification of new versions as they become available. New versions autoinstall on one mouseclick(so you only need to install TeboCam once). This is what Tebocam was designed for - configure TeboCam to email you when motion is detected, or simply to save the images to the computer or a folder connected to a site such as Dropbox (so that your images are stored away from the computer in case your computer is stolen). Giving you that added reassurance while you are on holiday or at the office during the day. Set up TeboCam with the draw area option to monitor every customer who comes through the door of your shop - you can even get TeboCam to play a sound when motion is detected (such as a bell). Point a webcam at your back garden to capture images of birds, squirels or even deer. Using the publish facility you can take a picture evey 30 seconds(frequency is configurable) of the changing landscape. Work in a city? Why not set TeboCam to take pictures of that skyscraper being built across from your office.